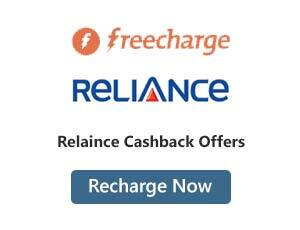 FreeCharge provides exciting discount coupons and cashback offers on every recharge. The majority of the coupons are worth the recharge value. The coupons can be used at branded stores such as McDonald’s, Coffee Day or at online retail stores such as Snapdeal, Flipkart, Jabong and more. The coupons are sent to your inbox or sent via SMS to the registered mobile number instantly after successful processing of a transaction at FreeCharge. Make mobile recharge for Rs.100 and get Rs.50 cashback. FreeCharge is offering a cashback of Rs. 50 on mobile recharge of Rs.100. Give the FreeCharge 50 Rs cashback code PRE50 at checkout to avail the offer. The cashback amount will be credited to your FreeCharge wallet. Minimum mobile recharge amount has to be Rs.100 to get the Rs.50 cashback. Each user can use the offer twice. The offer is valid only on recharges made through credit or debit card. The cashback amount has to be redeemed within 185 days. You can find this type of offers in paytm also, they are giving exciting cashback offers on mobile recharges.To grab those offers check Paytm Recharge Coupons and get cashback. Transactions made through net banking, FreeCharge balance and add cash are not eligible for the offer. Airtel users cannot avail the offer. The offer is valid only for FreeCharge App customers. Both new and existing users can avail the offer. FreeCharge is offering a variety of discount coupons that can be redeemed at food joints, e-commerce platforms, PVR cinemas and other places for Airtel prepaid users. Recharge your Airtel prepaid mobile connection via FreeCharge and grab a chance to pick exciting coupons. Log in to your account. Give the Airtel prepaid recharge details. Choose the equal valued coupons from food, travel, entertainment or others of your choice. No coupon code is required. If your searching for airtel 3g recharges with offers, then check Mobikwik Airtel Coupons and get cashback. Make the payment using credit or debit card. The e-voucher codes will be sent to you via e-mail. The e-voucher code so obtained has to be used at the concerned website to avail the discount offer.The offer is available only for Airtel prepaid users. The e-vouchers have to be chosen before making the payment. 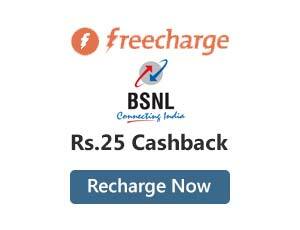 FreeCharge is offering a cashback of Rs.25 for BSNL users on prepaid mobile recharges valued Rs.100 and above. Login your FreeCharge account. Give the BSNL prepaid recharge details. Make the Recharge for Rs.100 to get the Rs.25 cashback. Give the coupon code BSNL25 to avail the offer. Click on redeem the coupon and proceed to make the payment using credit or debit card. The cashback amount will be credited to FreeCharge wallet. The offer is valid only for BSNL prepaid mobile recharges. The minimum recharge value has to be Rs.100. The maximum amount of cashback that can be obtained per transaction is Rs.25. Each user can use the offer only once. The cashback amount credited to the account has to be redeemed within 185 days of receiving the credit. Transactions made through Add Cash, net banking and using FreeCharge credits cannot get the cashback offer. Get Rs.25 cashback on Reliance prepaid mobile recharge of value Rs.100 and above. Login your FreeCharge account. If you are new to FreeCharge download the application and create an account. Give the Reliance prepaid mobile recharge details. Give the coupon code REL25. Make the recharge for a minimum of Rs.100. Click on redeem the coupon and make the payment using credit or debit card. Cashback amount will be credited to the FreeCharge wallet after successful processing of recharge order. Minimum recharge value has to be Rs.100 to avail the offer. Maximum cashback amount that can be obtained per transaction is limited to Rs.25. The offer is valid only once for new users. Transactions made using credit or debit card can only avail the offer. The cashback amount credited to the FreeCharge wallet has to be used on future transactions within 185 days of obtaining the credit. Add cash, net banking transactions and transaction made via FreeCharge balance cannot avail the offer. The offer is valid only for Reliance users. The offer is available on the FreeCharge app, mweb, and the web. FreeCharge is offering Rs.25 cashback on recharge of Rs.100 for Vodafone customers. This FreeCharge Offer For Vodafone Prepaid Users is available only for a limited period only. Hurry up and avail the cashback offer. Browse here for other FreeCharge Vodafone bill payment offers that give free coupons that can be availed at stores such as McDonalds, Costa coffee, Cafe Coffee Day and others. Login your FreeCharge account. Vodafone customers new to FreeCharge can download the app and start using the FreeCharge app for all their recharge and bill payment needs. Give your Vodafone prepaid recharge details. Make the recharge for Rs.100 and above. Give the coupon code VODA25 to get the 25% cashback amount on your Vodafone bill. Proceed to make the payment and the cashback amount will be credited to your FreeCharge wallet balance. If you want more discounts on Vodafone recharges , then you can check Paytm Vodafone Recharge Coupons and save more. The offer is valid only for Vodafone customers. The minimum recharge amount has to be Rs.100 to get the 25% cashback. Each user can use the coupon code only once. The offer is valid only on transactions made using credit/debit card or net banking. The maximum amount of cashback that can be obtained per transaction is limited to Rs.25. Pros: Get More Offers on Airtel,Idea & BSNL Recharges. Cons: Can’t Recharge Through IVRS or SMS. FreeCharge provides easy DTH recharge services for various DTH service providers. Log in to your FreeCharge mobile app, web application. Choose DTH recharge option and Recharge your DTH Plan and get cashback. FreeCharge provides easy bill payment and DTH recharge services for various DTH service providers. 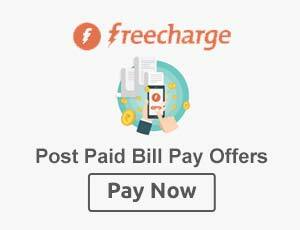 Using the FreeCharge bill payment services you can pay your postpaid mobile bill and electricity bill using the FreeCharge wallet or credit or debit card. FreeCharge bill payment offer gives an opportunity to save on your bill payments. Pay your mobile bill or electricity bill or recharge your DTH plan for Rs.400 and get Rs.100 cashback. Like Freecharge , Mobikwik also giving huge cashback offers on DTH payments. To get those discounts check Mobikwik DTH Coupons and get more. Log in to your FreeCharge mobile app, web application. Choose bill payment or DTH recharge option. Give the required details. Make the payment or DTH recharge for Rs.400 or above. Enter the FreeCharge 100 cashback code BL00 and proceed to the payment. Choose to pay using credit or debit card and make the payment. The cashback amount will be credited to your FreeCharge wallet. Minimum bill payment or DTH recharge amount should be Rs.400 or above. Each user can avail the offer only once. The offer is valid only on payments made through credit or debit card. The cash and payments made through FreeCharge balance or net banking are not eligible for the offer. The offer is available only for FreeCharge App, web and mWeb users. The cashback amount will be credited to your FreeCharge wallet. The cashback amount has to be used within 185 days of receiving the amount. The offer is valid for both new and existing users. 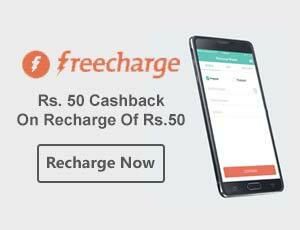 New users of FreeCharge can now get a cashback of Rs.50 on DTH recharge of Rs.200. DTH recharge of the majority of the service providers such as Videocon, Airtel, and others can be done through FreeCharge. When you want to save more on DTH payments, then check Paytm DTH Coupons and pay less. The minimum amount of DTH recharge has to be Rs.200. The maximum amount of cashback that can be obtained is limited to Rs.50. The offer is valid only for new users. Airtel users cannot avail the offer. The offer is valid only on payments made using debit or credit card. Each user can avail the offer only once on their first DTH recharge. The offer is valid only on web, mobile app, and mWeb. The cashback amount is credited in the form of EGV that remains valid for six months from the date of credit. Get 20% cashback on DTH recharge. DTH recharge service is available for Videocon, Airtel, and other major service providers. Open the FreeCharge mobile application. Give the DTH recharge details. No coupon code is required to avail the offer. Make the payment using debit/credit card. Cashback amount will be given in the form FreeCharge credits within 24 hours of processing the DTH recharge order. The offer is valid only on DTH recharge made on the mobile application. Each user can avail the offer for five times. Maximum cashback amount that can be obtained per DTH connection is limited to Rs.200. The offer is valid only on transaction made using debit/credit card. Pros: Get More Cashback Offer on DTH Recharges. FreeCharge provides exciting discount coupons and cashback offers on every bill payment. Redeeming the coupons is also simple and does not involve any hidden costs. FreeCharge also provides cashback offers on recharge and bill payments. The cashback amount will be credited to the FreeCharge wallet that can be used for your further transactions at FreeCharge. Like Freecharge, Paytm also giving cashback on every bill payment. To get those offers, check Paytm Bill Payment Coupons and save more. The cashback amount has to be used within the given expiry date that is generally 185 days from the date of issue of credit. Avail FreeCharge Rs.100 cashback offer on postpaid mobile bill payments of value Rs. 400 and above. The offer is available only for new users. Download the FreeCharge mobile application. Register at FreeCharge providing the required details on the sign-up page. Login your account using the registered username and password. Give the required postpaid mobile bill payment details. Give the coupon code P100 to avail the offer. Click on redeem the coupon and proceed to make the payment using credit or debit card. The cashback amount will be provided in the form of EGV. Get cashback of Rs.150 on paying electricity bill value of Rs.1500. FreeCharge is providing this offer only for new users. Pay your bills via FreeCharge and enjoy a discount of Rs.150. Download the FreeCharge application. Register at FreeCharge giving the required details. Give the FreeCharge electricity bill promo code BILL150 to avail the cashback offer.If you still searching more exciting offers, then check Mobikwik Electricity Bill Payment Coupons and save more. Make the payment using credit or debit card, net banking or add cash facility. Cashback amount will be deposited to FreeCharge wallet after successful bill payment. The offer is valid on debit or credit card transactions, net banking and cash transactions. The minimum bill value has to be Rs.1500. The offer is valid only on electricity or gas bill payments.The maximum amount of cashback that can be obtained is limited to Rs.150. The coupon is valid only once per user. The offer is for new users only. FreeCharge new user promo code has to be provided to get the cashback amount. The offer is available on the FreeCharge app, the web, and mweb. The cashback amount is credited to FreeCharge wallet and remains valid till 185 days from the date of receiving. The FreeCharge mobile app provides landline bill payment services for all the major landline service providers such as BSNL, MTNL, Airtel and others. FreeCharge is offering Rs.100 cashback on landline bill payments worth Rs.500. Download the FreeCharge app for your mobile. Do you want more cashback on landline bill payments then check Paytm Landline Bill Payments Offers and get more. Register at FreeCharge giving the required details. Login the application using the registered username and the password. Give the landline bill payment details. Choose to pay using credit or debit card. Give the FreeCharge 100 cashback promo code LANDLINE at checkout to avail the cashback offer. This FreeCharge 100 cashback new user offer is valid for BSNL, MTNL, Airtel and other landline service providers. The offer is valid only on FreeCharge application. Minimum landline bill amount has to be Rs.500 to avail the offer. The cashback amount of Rs.100 is credited as FreeCharge credits within 24 hours of processing the transaction. FreeCharge credits remain valid for 185 days. The credits cannot be redeemed for cash and are also non-transferable. The offer is not valid on Add Cash transactions and payments made using net banking or FreeCharge Balance. Each user can avail the offer only once. The cashback offer is valid only on first-time landline bill payments made via FreeCharge. FreeCharge the easy to use web application makes online bill payment simple, secure and easy. Pay your Airtel postpaid and landline bills via FreeCharge and get cashback of Rs.40. The offer is valid on bills valued Rs.400 and above. Give the FreeCharge Airtel coupons code AIRTEL40 at checkout to get the RS.40 cashback on your bill. Not only for postpaid bill payments , if you want offers for airtel prepaid recharge check Mobikwik Airtel Coupons and get more cashback. The offer is valid only for new users of FreeCharge. Minimum bill amount should be Rs.400 to avail the offer. The maximum amount of cashback that can be obtained per transaction is limited to Rs.40. Each user can avail the offer only once. The cashback amount credited to the FreeCharge wallet has to be redeemed within 185 days of receiving the credit. The offer is valid only on the mobile app, web, and mweb. Add cash transactions and payments made using FreeCharge balance or net banking are not eligible for the cashback offer. The cashback offer is valid only on Airtel bill payments. Cons: Bill Payment Offers are Applicable for Slected Citys. FreeCharge gives exciting cashback and discount offers for new users on mobile recharges and bill payments. 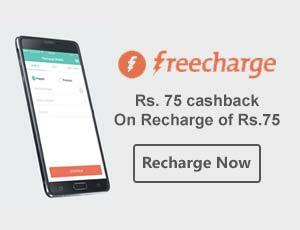 FreeCharge is giving Rs.75 cashback offers on recharges and bill payments of Rs.75 for new users. Users can make DTH recharge, datacard recharge or pay postpaid mobile and landline bills using FreeCharge. Register at FreeCharge providing the details such as first name, last name, credit card/debit card details and other required details. Login the FreeCharge web app or the mobile app using the registered login ID and password. Give the required recharge or bill payment details. Give the code HELLO75 to avail this FreeCharge new user offer. Choose to pay using a credit card or debit card to make the payment. The offer is valid only for new users. Each user can avail the offer only once on the first recharge or bill payment. You can get many types of cashback offers in paytm also, simply check Paytm Offers . They are giving discounts on everything. The cashback offer is valid only on transactions made through credit or debit card. The cashback amount will be credited to the FreeCharge Wallet within 24 hours of processing the bill payment. The amount credited to the FreeCharge wallet has to be used within 185 days of receiving the amount. The offer is valid only on FreeCharge web, mWeb, and mobile app. The offer is not valid on payments or recharges made via net banking or using FreeCharge balance. The FreeCharge 75 cashback offer is not available for Airtel users. FreeCharge gives exciting cashback and discount offers for new users on mobile recharges and bill payments. Get Rs.50 cashback on mobile recharge or bill payments valued Rs.50 with the FreeCharge get 50 cashback offer. Start using the FreeCharge app by downloading it for free available at Google play store, App store and the Windows app store. Give the bill payment or the recharge details. Give the FreeCharge 50 cashback coupon code 50APP at checkout to avail the offer. Make the payment and you will receive the Rs.50 cashback within 24 hours of processing the payment.FreeCharge 50 cashback offer is valid only for new users using the FreeCharge app. Each user can avail the offer only once on the first recharge or bill payment. Minimum cashback amount that can be obtained per transaction is limited to Rs.50. The minimum amount of mobile recharge or bill value should be Rs.50. The offer is valid on all modes of payment including the net banking and FreeCharge balance. All customers including Airtel customers can avail the offer. The cashback amount is given in the form of EGV that has to be used within 6 months of receiving the credit. 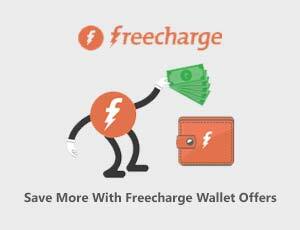 FreeCharge is offering a cashback of 14.5% on prepaid mobile recharge of Rs.20. The offer is being provided for new users of FreeCharge. Open the FreeCharge web application or the mobile application. Give the prepaid mobile recharge details. Make the recharge for Rs.20. Give the FreeCharge new user coupon code FTT. Proceed to make the payment using debit/credit card. The cashback amount will be credited to your FreeCharge wallet. Minimum recharge value has to be Rs.20 to avail the offer. Maximum cashback that can be obtained is Rs.100. The cashback amount credited to the FreeCharge wallet has to be used within 185 days of receiving the credit. The offer is valid only once per user. Only new users can avail the offer.Transactions made via net banking or using FreeCharge balance are not eligible for the offer. The offer is available only on the app, the web, and mweb. The offer is valid for Airtel transactions. Pros: Get More Offers For New Users On Recharges & Bill Payments. FreeCharge provides exciting discount coupons and cashback offers on every recharge or bill payment for Old Users. 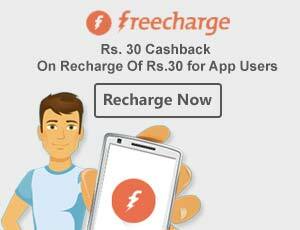 FreeCharge is providing a cashback of Rs.60 on recharge of Rs.50 and above. This account specific offer is valid on DTH/prepaid/postpaid recharges. Login your FreeCharge account. Give the recharge details. Make the recharge for Rs.50 and above. Give the coupon code M50. Click on Redeem the offer and proceed to make the payment. Use your credit or debit card to make the payment. The cashback amount will be credited to your FreeCharge wallet instantly after processing of the recharge request. FreeCharge offers hassle free online recharge services that are not only simple and secure but are also rewarding. Make a recharge for just Rs.10 and get a cashback of Rs.20. This excellent offer makes you earn more on every recharge. Login the FreeCharge mobile application providing the registered username and the password. Give the recharge details. You can make prepaid mobile recharge, DTH recharge or pay your postpaid bill. Choose to make recharge for Rs.10 and above. Give the coupon code A20 or HAPPY20 at checkout to get FreeCharge 20 rs cashback. Choose to pay using credit or debit card. The offer is account specific. All users can avail the offer. The offer is valid only on payments made using credit or debit card. The offer is available only for FreeCharge mobile app users. Each user can avail the Rs.20 cashback offer for five times. FreeCharge gives interesting discount offers to encourage new users in using the application. Few offers are so rewarding that they make your recharge absolutely free. FreeCharge is offering a cashback of Rs.30 on bill payments or recharges valued Rs.30. You earn as much as you recharge. you can get this type mobile app deal in Mobikwik also. To get those discounts check Mobikwik App Coupons and get more cashback in your wallet. Download the FreeCharge recharge or bill payment application. Click on the FreeCharge app download for Android users and the application will be available to your in just a few minutes. The iOS and windows phone users can also get the respective versions of the FreeCharge application. Register at FreeCharge giving the required details. Login the application. Give the recharge details such as the amount, service provider, mobile number and other details as required. Give the coupon code GF30 before making the payment to get the Rs.30 cashback offer. Choose to make payment using credit or debit card. The minimum recharge amount has to Rs.30 to avail the offer. The offer is valid only on payments made using credit or debit card. The offer is not valid on payments made using FreeCharge Balance, net banking and on add cash transactions. The offer is not valid for Airtel users. Transactions made on the FreeCharge app, the web, and mobile web application are only eligible for the cashback offer. The cashback amount is credited to the FreeCharge wallet linked to your account. The credited amount will be available for redemption until 185 days from the date of credit. The amount can only be used on future transactions but is not transferable to the bank account. Recharge for Rs.20 or pay your utility bill and get 4% cashback on your bill. The offer is available on prepaid, postpaid, DTH, data card recharge and electricity or gas bill payments.Login your FreeCharge account. If you are new to FreeCharge download the application and create an account by providing the required details on the signup page. Give the recharge or bill payment details. Make the recharge or pay bill for a minimum value of Rs.20. Give the coupon code F4. Click on redeem coupons and proceed to make payment using credit/debit card. The cashback amount will be credited to the FreeCharge wallet within 24 hours of processing the transaction. FreeCharge users can now enjoy a 5% cashback on minimum recharge or bill payment of Rs.50. Users can recharge their prepaid or postpaid mobile number, DTH and data card or pay postpaid, electricity or gas bills.Login your FreeCharge account. Provide the recharge or bill payment details. Make the transaction for Rs.50. Get the FreeCharge 5 cashback coupon code available here and provide it at checkout. Make the payment using your credit or debit card. The cashback amount will be credited to your FreeCharge wallet after processing of the transaction. 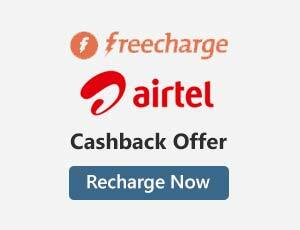 FreeCharge offered 8% cashback on prepaid mobile recharge of Rs.100 and above. Users can get a cashback of Rs.80 per transaction. Open FreeCharge application and log in to your account. Give the prepaid mobile recharge details. Make recharge for a minimum of Rs.100. Give the coupon code PREPAID8 to avail the offer. Proceed to make the payment using credit/debit card or net banking. The cashback amount is credited to FreeCharge wallet.The FreeCharge 8 cashback offer can be availed for five times by a user. The maximum amount of cashback that can be obtained per transaction is limited to Rs.80. The offer is available only on mobile site and FreeCharge website. Pros: Get More Cashback Offers for Old Users On Recharges& Bill Payments. FreeCharge, the digital platform providing recharge utility bill payment services has introduced the FreeCharge digital wallet to make transactions simpler for its customers. Using the FreeCharge wallet customers can recharge their prepaid/postpaid/DTH/Data card services or pay electricity or gas bills using their mobile without the hassle of providing the credit card details or go through the net-banking process. FreeCharge is offering digital wallet in association with Yes Bank, one of the leading private banks in India. Freecharge offering cashback offers on every day on every payment. Like Freecharge, Paytm also giving huge discounts on wallet payments. To get those deals check Paytm Wallet Offers and get more cashback. FreeCharge accepts credit card or debit card of the majority of the popular banks such as HDFC, Kotak, Axis, Yes bank, Karnataka bank and others to make it easy for the customers to make their payments. In association with the partnering banks, FreeCharge provides interesting discount offers for its customers. To make its recharge service more rewarding, FreeCharge collaborates with retailers, banks, food points and more. It provides discount coupons that can be availed at the specified stores or banks. FreeCharge is offering a cashback of 20% for Yes Bank users and 10% cashback on mobile and DTH recharges exclusively for Kotak bank users. HDFC & Karnataka banks also Offering 10% Discount to their users. FreeCharge is offering a so many cashback offers for credit card/ debit card users. Like Yes Bank offering a cashback of 20% for ATM card users and Kotak bank offers 10% cashback for credit or debit card users & Axis bank Offering 25% cash back to their credit/ debit card users.The cashback amount will be credited to your FreeCharge account in the form of FreeCharge credits that can be availed for future payments. FreeCharge offered 25% cashback on recharges made using Axis Bank credit or debit card. Login your FreeCharge account. Give the recharge details. Give the coupon code AXISFC25 to avail the 25% cashback offer and proceed to make the payment. Make the payment using your Axis Bank credit or debit card. The cashback amount will be credited to your FreeCharge account in the form of FreeCharge credits that can be availed for future payments. The offer is valid for only Axis bank credit/Debit card users. Each user can avail the offer for three times during the offer period. The maximum amount of cashback that can be obtained is limited to Rs.25. FreeCharge accepts credit card or debit card of the majority of the popular banks such as HDFC, Kotak, and others to make it easy for the customers to make their payments. In association with the partnering banks, FreeCharge provides interesting discount offers for its customers. HDFC credit or debit card users can now get a flat 10% discount on payments made at FreeCharge using the HDFC card. Open the FreeCharge recharge or bill payment application. Give the recharge details. 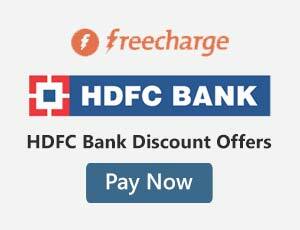 Give the FreeCharge promo code HDFC VISA10 at checkout to avail the 10% discount. Choose to make payment using HDFC credit or debit card. The FreeCharge HDFC credit card offer gets activated and the 10% discount will be credited to your account in the form of FreeCharge credits that are valid on your future recharges at FreeCharge. FreeCharge coupons HDFC are valid only on payments made using HDFC credit or debit card. Each user can use the offer on five transactions. The offer is valid on all types of payments prepaid mobile recharge/ DTH/Data card recharge or postpaid mobile bills made at FreeCharge. The 10% cashback amount is credited in the form of FreeCharge credits that can be used on your future payments. The offer is valid only for a limited time period. Pros: Get More Cashback Offers on Different Bank Transactions. FreeCharge has designed different versions of recharge and bill payment applications to fit the needs of different user groups. FreeCharge app download can be done directly from the FreeCharge website. Separate versions of the application are available for Android, iPhone, and Windows phone users. The application is easy to use and does not require any technical expertise. FreeCharge is offering a cashback of Rs.75 on transactions of Rs.75 for new users of Windows app. This 100% cashback offer is valid only for a limited period. Download the FreeCharge Windows application. Create an account at FreeCharge giving the required details on the Signup page. Give recharge details. Make recharge for a minimum of Rs.75. Give the coupon code WIN75 to get the 100% cashback. Make payment using debit or credit card. The cashback amount will be credited to your FreeCharge wallet within 24 hours of completion of the recharge transaction. The offer is valid only for new users of Windows app. The offer is not available for Airtel users. The minimum recharge value has to be Rs.75. Maximum cashback that can be obtained per transaction is Rs.75. Each user can avail the offer only once. Transactions made using credit/debit card are only valid for the cashback offer. The cashback amount credited to the FreeCharge wallet has to be redeemed within 185 days of receiving the credit. The amount cannot be transferred to your bank account. Transactions made through net banking and add cash cannot avail the offer. With FreeCharge refer and earn offer you can make money just by referring your friends to FreeCharge. FreeCharge users are provided with the FreeCharge referral code that can be shared with the friends, colleagues or family members. FreeCharge is offering up to Rs.1000 for referring your friends. Open the FreeCharge recharge application. Login your account giving the registered username and password. Select the Refer N Earn option listed on the side menu under Rewards section. You will be given your own referral code. Invite friends using the referral code.You will be rewarded with FreeCharge wallet cash whenever your friend makes the first recharge or pays the bill. Your friend will also be rewarded with cash. The maximum amount you can earn through Refer and earn offer is limited to Rs.1000. The amount will be credited to your account only when your friend makes the first recharge or pays the bill. Pros: Get More Cash into Your Wallet & Cashback Offers for App Users. Cons: Not Easy to Use In Featured Phones. Just link your FreeCharge account with the Snapdeal account and you can go ahead with your shopping. Linking the two accounts saves you from remembering different card details. When you log in one account, the other account can be accessed automatically without having to provide the login details. FreeCharge and Snapdeal offers will let you get the items of your choice at a discounted price. Few 100% cashback offers get you the item for free. FreeCharge is offering a discount of Rs.1000 on any iPhone at Snapdeal on recharge of DTH/data card for Rs.100. Snapdeal, the online shopping website has a collection of iPhones of various brands. Grab this amazing discount offer and get iPhone of your choice at discounted price. Login your FreeCharge account. Give the details of recharge. Make the recharge for Rs.100. Choose the Snapdeal 1000 off coupon from the coupons section before making the payment. Proceed to the payment page and make payment using your credit or debit card. No coupon code is required to avail the offer. The Snapdeal coupon code will be sent to your inbox or to the registered mobile number via SMS. Use the Snapdeal coupon code at Snapdeal website to avail the 1000 off discount on your iPhone. The coupon is valid only once per user. The FreeCharge Snapdeal offer is valid only on mobile application and at FreeCharge website. The offer is available only for limited period. Flipkart, the online retailer has a wide variety of items to shop. It has a collection of apparel, accessories, electronics, home decor and more. FreeCharge in collaboration with Flipkart is offering an amazing FreeCharge Flipkart offer. Make recharge valued for Rs.20 and above and get Rs.15 off and Rs.5 cashback. The offer also provides a discount of Rs.100 on Rs.1000 at Flipkart. Visit the FreeCharge website and log in your account. Give the recharge details and make recharge for Rs.20 or above. Select the Flipkart coupon before making the payment. Click ‘proceed’ and make the payment using your credit or debit card. The discount will be applied on your recharge amount and the cashback amount will be given in the form of FreeCharge credit that can be used on your next transaction. Flipkart coupon will be sent to your inbox without any delay. You can redeem the Flipkart coupon by shopping for the items of your choice at Flipkart. Make sure to make the cart value of Rs.1000 to get the discount of Rs.100. The minimum recharge amount has to be Rs.20 to avail the offer. The maximum amount of cashback that can be obtained is limited to Rs.5. Flipkart coupon of Rs.100 off on Rs.1000 is valid only on purchases worth Rs.1000 and above. Big basket the online grocery store provides fruits, vegetables, and other groceries at best prices. FreeCharge is offering 20% discount deals on Big Basket orders of value Rs.1000 and above. Login your FreeCharge account. Make recharge or pay the bill. Choose the Big Basket deal in the food section of the coupons. No coupon code is required to get the e-voucher code. Make the payment using credit or debit card. The e-voucher code will be sent to your inbox after successful processing of the recharge or bill payment. The e-voucher code has to be provided on Big Basket to get the discount. The minimum order value at BigBasket has to be Rs.1000 to avail the 20% discount. The maximum amount of discount that can be obtained is limited to Rs.200. The offer is available only for new users of Big Basket. FreeCharge offered a discount of Rs.250 on Ola with recharge of Rs.50 and above. Using the discount voucher, you can enjoy a flat discount of Rs.250 on your next Cab rides. Open the FreeCharge application. Give the recharge details. Make recharge for Rs.50 and above. Select the Ola free voucher offer before making the payment. The Ola voucher worth Rs.250 will be sent to the recharged mobile number within 24 hours of processing the payment.Use the obtained Ola coupon code while booking your Ola ride. The offer was provided for recharges made on prepaid and postpaid mobile numbers. FreeCharge partnering with retailers, food points and other stores provides discount coupons that can be used to avail the discount on purchases made at the specified stores. FreeCharge is offering a flat discount of Rs.300 on metro shoes valued Rs.1250 and above. Visit the FreeCharge website. Provide the details of recharge or bill payment to be made. Pick up the deal on metro shoes before making the payment. Make the recharge or pay the bill and the FreeCharge metro coupons e-code will be sent to your registered email after processing of the transaction. The coupon can be used on your next purchase at Metro shoes website. Visit the Metro shoes website to avail the discount. Choose the shoes of your choice. Give your size and provide the e-code at checkout to get Rs.300 off on your purchase. The offer is valid only on purchases made at Metroshoes website. The offer is invalid at Metro shoes retail outlets and showrooms. The minimum order value at Metroshoes has to be Rs.1250 to avail the discount offer. Get FreeCharge Rs.30 cashback coupon and Rs.30 Peopleskart Piggy Cash by buying FreeCharge Rs.30 Freefund code Grab this 100% cashback offer and recharge at FreeCharge for free. Place the order for FreeCharge Freefund Codes at FreeCharge.in. Give the coupon code FC30 to avail the cashback offer. The Free fund code will be sent to you via email or SMS within 48 hours of purchasing the voucher. Use the Free fund code to get the Rs.30 cashback to your FreeCharge wallet. Rs.30 will also be credited to your Peopleskart Piggy cash instantly after purchasing the voucher. Freefund codes can be used by all users both new and existing users. Each user can use the voucher only once. Cashback amount of Rs.30 will be deposited to your Peopleskart Piggy Cash after delivering the Freefund code. Piggy Cash amount can be used for transactions made at Peopleskart.com. The voucher has to be used without combining with other offers. The voucher cannot be canceled after purchase. Cashback amount of Rs.30 will be credited to your FreeCharge wallet. FreeCharge is offering a wonderful cashback offer in the entertainment section that can be availed at Adda52. FreeCharge is offering Rs.100 cashback offer and 100% bonus on the purchase of Rs.100 on Adda52. Visit FreeCharge website. Log into your account. If you are new to FreeCharge download the app and register at FreeCharge providing the required details. Provide the recharge details. Make the recharge for Rs.100. Select the Adda52 coupon from the entertainment section before making the payment. Proceed to the payment and make the payment. The 100% bonus coupon code that can be availed at Adda52 will be sent to your inbox instantly. Use the provided code at Adda52 to avail the offer. The Rs.100 cashback will also be credited to your FreeCharge account as FreeCharge credits. So, you can get entertainment and recharge at zero cost. The minimum recharge amount has to be Rs.100 to avail the offer. The 100% bonus offer is valid only at Adda52 site. The coupon code is valid only once per user. Pros: Get More Cashback Offers On Online Shopping. 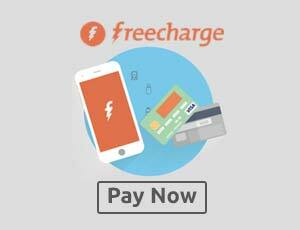 FreeCharge, the online platform for making mobile recharge and utility bill payments was started in the year 2010. It is operated by Accelyst Solutions Pvt.Ltd. Using FreeCharge application, you can make recharge of prepaid, postpaid, data card and DTH connection. It also provides facilities for online utility bill payment. This startup company has seen massive growth due to the adoption of unique marketing strategies. It offers exclusive discount coupons worth the value of recharge made at FreeCharge. FreeCharge coupons and cashback offers can be used at e-commerce platforms such as Flipkart, Jabong, Snapdeal and others. FreeCharge digital wallet provides an easy means to make recharge and bill payments. The working of the Freecharge app and customer service at FreeCharge is so good that users can hardly find trouble with the transactions. FreeCharge, is a business entity of Accelyst Solutions Pvt. Ltd headquartered in Mumbai that simplifies the mobile, DTH, and bills recharging process. It provides recharge facilities for prepaid mobile connections, Data cards, DTH connection and payment of utility bills such as electricity bill and gas bills. FreeCharge was started by Ranjesh and Sandeep Tandon in August 2010. It adopts innovative strategies to give more for its customers. The uniqueness of FreeCharge is in making the recharge process rewarding by offering discount coupons and cashback offers worth the recharge value. FreeCharge services are so rewarding and satisfactory that customers prefer to come back again and again. I’m New User To Freecharge, Is There Any New Discount Coupons For Recharge? Hi Kiran, Now Freecharge Giving Special Discount Offer. Use NEW100 Coupon Code To Get 100% Cashback On First Recharge.